Located in the heart of the East Village, originally the Athletes Village during the 2012 London Olympic games. 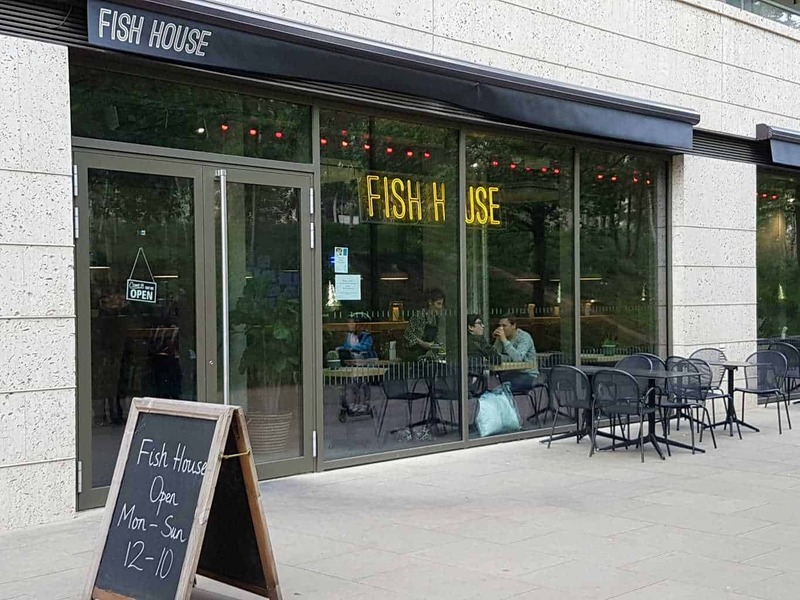 The Fish House E20 is within easy distance of the Westfield Stratford City shopping centre, the Queen Elizabeth Park and the London Stadium (home to West Ham United). From the outside of the Fish House E20, the restaurant and takeaway doesn’t really make an impression. Complying with all the other outlets that are within the area there are no big signage or displays highlighting their presence. Opening the main door you are transported into a modern industrial style restaurant and takeaway. The concrete pillars and flooring might at first glance feel cold and harsh. However, upon further inspection the softer touches become noticeable. The beautifully tiled wall behind the counter, the wooden cladding around the entrance to restrooms and the teal painted walls all adding warmth and character to the restaurant. 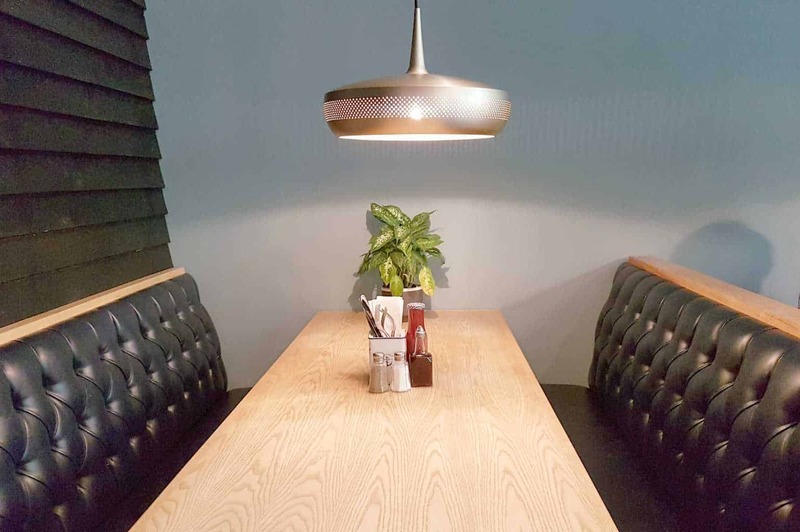 With a selection of seating available from large booths holding parties of friends and family. To cosy tables for two and the central high bench for those grabbing a quick bite to eat before heading out. The clue to the range of food served at the Fish House E20 is in the name. That’s right, fish, however, you’d be forgiven for thinking that it was just a posh fish and chip restaurant. 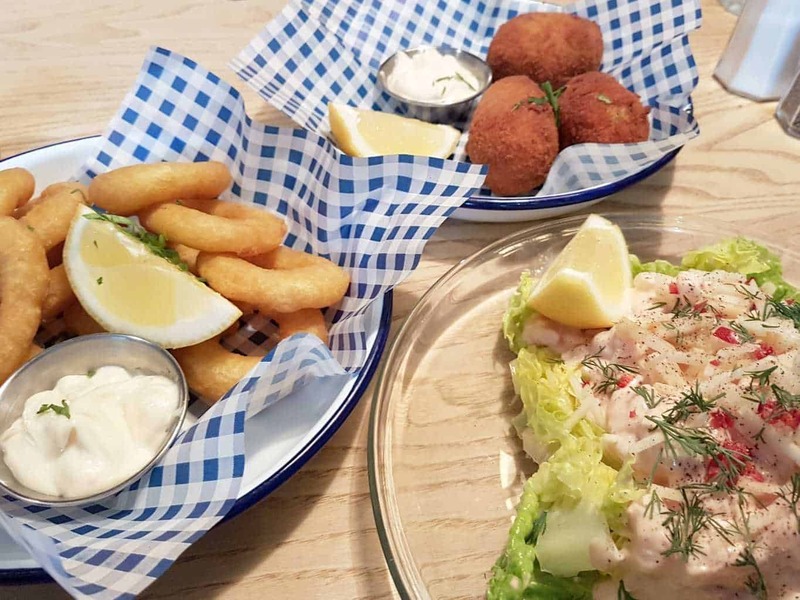 Whilst they do of course serve fish and chips (which are truly the best fish and chips I’ve tasted) on the menu, there is so much more available. Whether you love your shellfish, calamari or something a little more adventurous there is something for everyone. 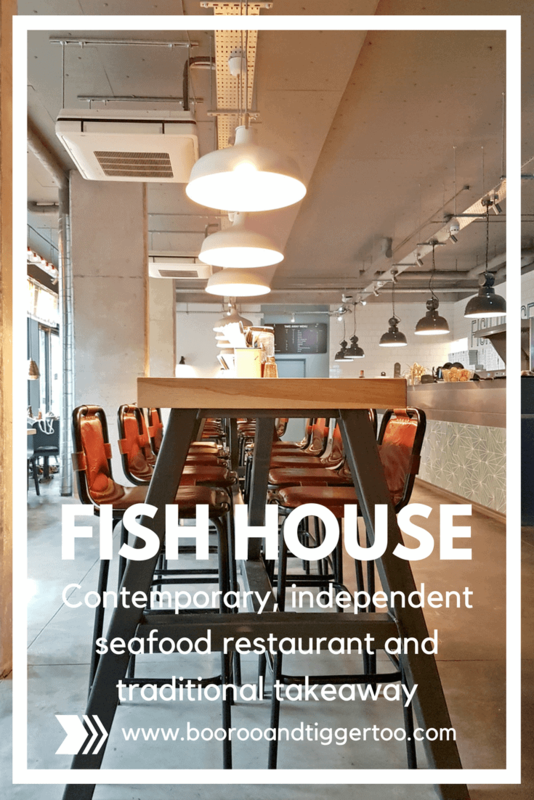 The Fish House E20 purchase their fish daily and are on display at the front of the restaurant. Ready for you to take a look and select your favourite cut of fish. You can be assured of the freshness and taste of your desired dish. The starts menu includes a mixture of both traditional and contemporary dishes. Whether you’re craving a traditional prawn cocktail, deep-fried calamari or crab, pea and spinach samosas. Don’t fill yourself up on the delicious starters though as you’ll need plenty of room for the main course. From the classic fish and chips (the skate is especially wonderful) and contemporary fish finger sandwich served on a brioche bun. To the selection of risottos and pasta dishes. Whatever you decide to order you’ll be sure of a full plate and the freshest of fish and ingredients. This looks absolutely delicious! I would love to have a meal here. Looks like fun and there are things the kids would really like to try, especially a contemporary fish finger sandwich! OMG i need to find some of this fish and make my own fish and chips! So many nice dishes! I love fish restaurants. All dishes look so delicious. The food looks totally scrumptious. I find that fried food can be quite heavy and greasy, but this all looks super light and very fresh.